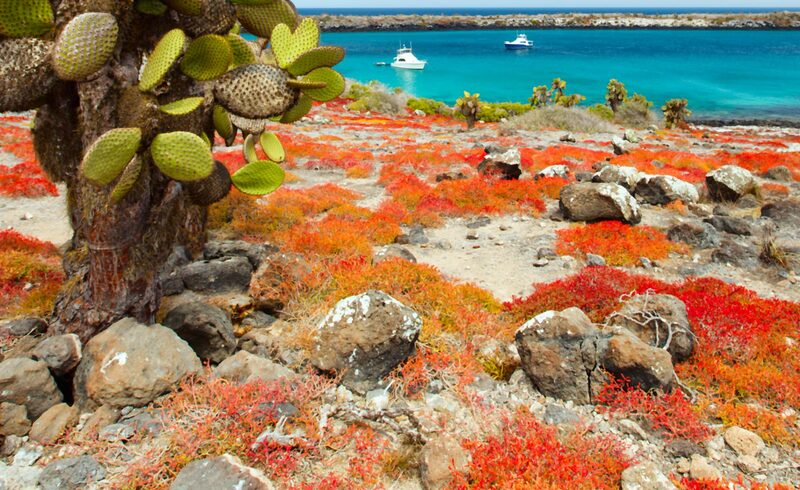 Join one of our tortoise trackers in Galapagos who is trying to find out where the tortoises are. In this section we will learn more about tortoise tracking, about migration patterns and how we can track where they go using advanced GPS tagging methods. Find the right tortoise for your study. Give the shell a good scrub with soapy water and use acetone to remove further dirt. Dry well and using sandpaper, scrub the site of the tag to improve adhesion. Fix the tag in place with high grade plumbers’ glue – this needs to be done very firmly to ensure that the tag is not scraped off by the dense vegetation that tortoises encounter. 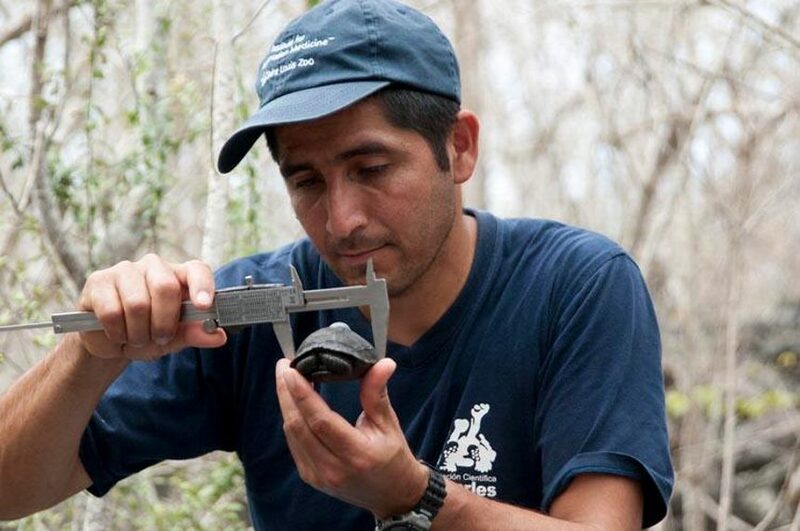 No adverse effects have been recorded for the tortoises that have been tagged. Each tag lasts 2 years, giving a long dataset for each individual. Data is collected via a GPS reading every hour that enables a detailed map of each tortoise’s movements to be recorded. 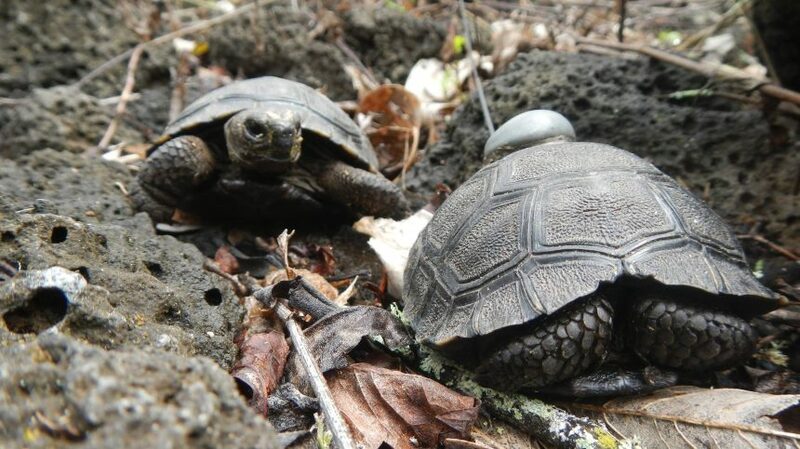 You can learn more about the work of the Galapagos Tortoise Movement Ecology Programme by visiting the Tortoise Migration on Alcedo Volcano page which is part of the Google Maps Education resources. What have we learnt from tracking tortoises? 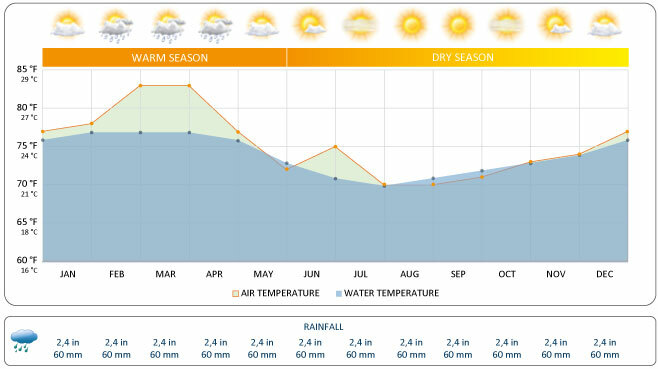 There is a seasonal pattern to the weather in Galapagos as you can see from the diagram below. There is a warm season from January to May and a dry season from June to December. The changes in temperature and weather patterns have an impact on the movements of giant tortoises. In the dry season, slopes of Santa Cruz are covered with a dense fog which enables plants to grow, even if there is less rain. Sometimes if there is a lack of food in the lowlands (because fewer plants have been able to grow) most tortoises (especially male tortoises) migrate up to 10 km to the highlands. In the highlands, temperatures are 2-2.5°C lower than lowland temperatures. It is usually just full grown tortoises that migrate, the young tortoises stay in the lowlands until they are big enough. The female tortoises stay in the lowlands until they lay their eggs, then they migrate to the highlands. As soon as the wet season begins, tortoises move back to the lowlands for the rich vegetation that can be found there. 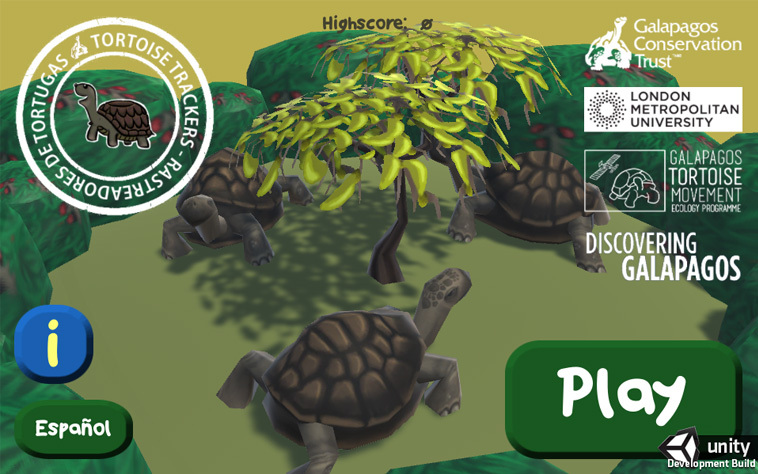 Tortoise Trackers – The Game! Please note: This game is currently not playable when using the Google Chrome browser. While we find a solution, we recommend using the Mozilla Firefox browser to play this game.